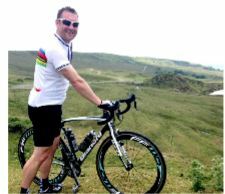 On 20 July 2014, Johnson Fleming’s Mark Beddowes took part in the 148km bike ride L’Etape du Tour in aid of the company’s Charity of the Year, CLIC Sargent. Established in 1993, the L’Etape du Tour allows amateur cyclists to test their legs on one of the Tour de France’s toughest mountain stages through the Pyrenees, including an ascent to the summit of the Col du Tourmalet, which reaches 17.1km and gradients of more than seven per cent. CLIC Sargent is the UK’s leading cancer charity for children and young people. It provides clinical, practical, financial and emotional support to help cancer patients get the most out of life and offers support from diagnosis onwards. The charity helps families deal with the impact of cancer and its treatment, life after treatment and, in some cases, bereavement.